The classic adventure game originally released for the Nintendo 64, while the New Nintendo 3DS came in North America in early 2015. Like Ocarina of Time 3D, which brought new features to be ported to the 3D system, Majora's Mask underwent a profound graphical update. The visual improvements enable the players to experience the 3D handheld, since the three-dimensional depth makes the world Hyrule even more beautiful. In addition to the graphical overhaul, the controls were perfectly adapted, including support for the gyro sensor. The player can manage all inventory items through the touch screen. Year after year Capcom proves that there is still room for improvement in its ambitious hunting RPG monsters. Monster Hunter 4 Ultimate is the best of the series in every way: several breeds of monsters, hundreds of items, weapons and combinations, colossal map and more dynamic gameplay. 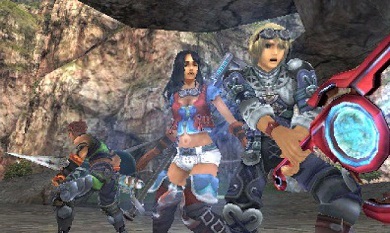 The water fights in MH3 were removed to make way for vertical fighting at different levels of elevation, ie, at higher or underground areas locations. As much as Monster Hunter is not a franchise so accessible due to deep management systems, Ultimate 4 is keen to teach in detail the most important elements of the game. Xenoblade Chronicles 3D became the main Wii JRPG. Since the great difficulty was to find the game in stores, Nintendo re-released the same masterpiece in New 3DS, the model with more powerful hardware. Although the only news of the port is related to support for amiibo and StreetPass, Chronicles is still a nice RPG with hours of play. Created by Tetsuya Takahashi - Xenogears and Xenosaga responsible for classics - Chronicles innovated in its time with a concept of immersive open world, with endless dungeons and giant areas. Chronicles 3D may not be a visual perfection, but it's certainly made the best of the genre option on handheld. Watch Yo-Kai managed to take the top of the Pokémon of the Japanese charts. Launched by talented Japanese company Level-5, the game brings the same premise to hunt and collect monsters - that are spirits - in open environments. Despite the clear similarities between the franchises, Yo-Kai Watch has a combat system more simple and dynamic shifts, with up to six creatures on the battlefield. Expect to find several missions, memorable characters and hilarious ghosts to capture. Designed by HAL Laboratory, the same studio responsible for titles starring Kirby, Boxboy! It is an indie game with polygonal scenarios and various puzzles. Here, the main character is the Qbby cube, which has a unique ability to shed blocks. The minimalist look in black and white reminiscent of the games of the Game Boy era, especially when it's driven by the typical soundtrack of the 8-bit era. The game has gameplay based on two buttons, making it easy for users less familiar with titles in the genre. Nostalgic and addictive, Boxboy! It stands out for its impressive array of stages and puzzles.